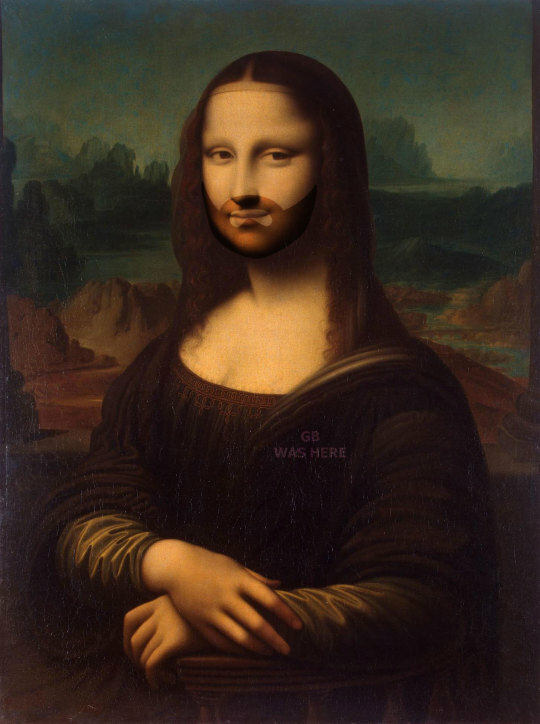 The Mona Lisa’s smile has always puzzled historians and searchers, who have extrapolated many theories about the identity of the mysterious Gioconda. This time the team has projected their quantum beam on the Mona Lisa, and what has been revealed is now the subject of many new theories… What is this mysterious shape under the painting? Is that a beard? A ghost? A UFO? A mask? An alien? Who knows? Will we ever be able to decipher the riddle? Another hidden clue seem to have been found (as seen above) with the mysterious “GB WAS HERE” message on the lady’s mantel lapel. Perhaps a message from Giovanni Battista, a famous musician, friend of Leonardo at the time, who’s well know to have opposed the streaming giants of the time, Spotificanti, Gioggli and Appolo. Hopefully as the historians and scientists are working on more clues we’ll learn more about this soon.